I highly recommend getting a microphone stand or boom arm for your Blue Yeti. 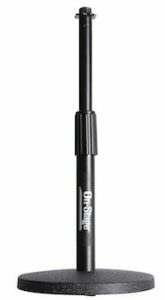 This will make it much easier to position the mic right in front of your mouth, as the included stand isn’t tall enough for most situations. 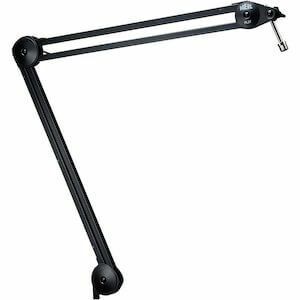 If you go with a boom arm, it will clear up space on your desk and make it much faster and easier to start recording. I find this is a huge benefit because it eliminates any excuses you might have to start recording. The Yeti is one of the heavier mics out there so you’ll need to keep that in mind when choosing a boom arm. Some of the cheaper models struggle to keep the mic in place, especially when fully extended. The Blue Compass is brand new (as of March 2018) from Blue and their first boom arm. This is a high-quality accessory that includes hidden cable management, hand-tightened springs, and 360-degree rotation. It can hold 2.4lbs (enough for the Blue Yeti plus a shock mount) and is designed to clamp to your desk like all the boom arms recommended here. At $100, this is an excellent product and it’s exciting to see Blue come out with new products. 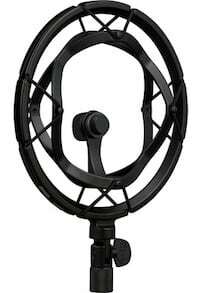 I currently use the Heil PL-2T with the Blue Yeti and it works great. 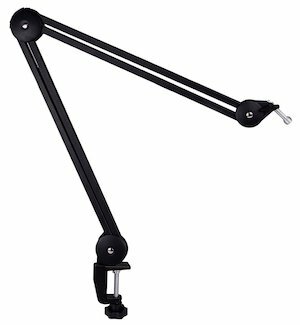 This is one of the sturdier scissor boom arms in this price range (around $100-$120), it has built-in cable management so you can hide the cable in the arm, giving everything a nice clean look. It can easily support the Yeti along with a shock mount and pop filter even when fully extended. It also rotates 360 degrees. The big difference with the Rode PSA1 is that there is no internal cable management, but otherwise, it’s an excellent boom arm for the Yeti and other mics. These guys seemed to have copied the designs above, but they say the arms will support a Blue Yeti with a shock mount – at about half the price. Their description says it will hold up to 1.32 lbs (600g). 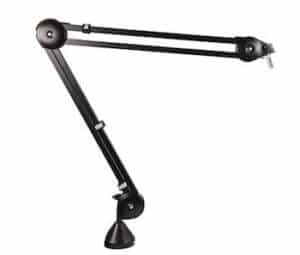 Check out the DuaFire Swivel Mount Boom Arm here. A desktop mic stand for your Blue Yeti is a great choice if you want something that costs a bit less than the booms above. They still allow you to get great mic position and give you the ability to add a shock mount (see the next section for a few recommendations). 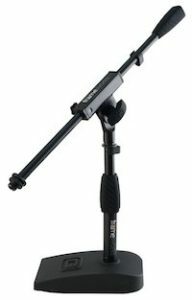 The On Stage DS7200B is a really basic tabletop mic stand and although not my top choice for the Blue Yeti, it will give you the ability to add a shock mount and a little extra height. The height is adjustable from 9″ to 13″. 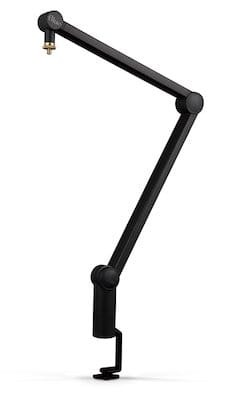 The Proline MS112 is is a very popular desktop mic stand for podcasting. It’s heavy enough to support the Yeti without worrying about it tipping over. 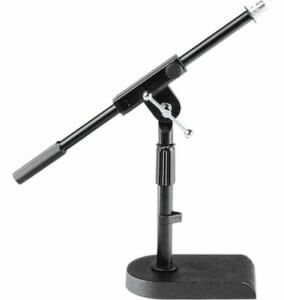 Gator Frameworks is well-known for mic stands and this one is worth it. You get cable clips and the height is adjustable. 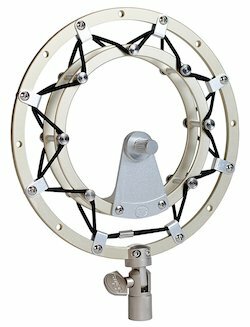 A shock mount will reduce vibrations from traveling into the microphone and greatly improve sound quality. 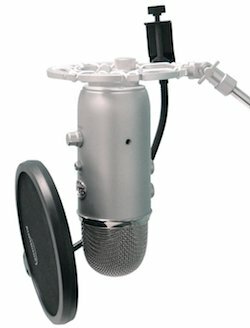 Does the Blue Yeti need a shock mount? Maybe not, but if you ever try to type or accidentally tap on your desk, that sound will be picked up.. loudly, so I highly recommend picking up a shock mount for the Blue Yeti. The Blue Radius III is another brand new release from March 2018. Compared with Radius II, the Radius III is lighter and lower-profile, making it easier to use on-camera (or off). Personally, I like the look of the new Radius III better too – what do you think? The official shock mount from Blue is the Radius II. They offer it in silver, black, and white to match the most popular colors. It can be used in any orientation with both the Yeti and Yeti Pro. If you don’t want to pay a premium for the official shock mount, grab the Auphonix Aluminum Shock Mount for the Blue Yeti. It costs a bit less and is a little smaller in size, but still works great. 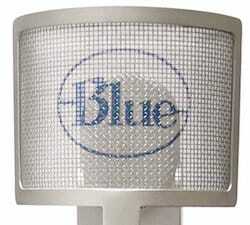 Blue also has their own pop filter call The Pop. It is made of all metal and has a nice weight to it. Metal screen pop filters like this one tend to work the best. You’ll pay a premium for the brand name, but it works well. 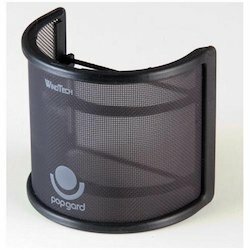 The WindTech PopGard 2000 is the pop filter you want to get! It attaches with elastic bands and wraps around the microphone. I like this one because it sets up quickly and you won’t have to adjust it like some of the others. It fits the Yeti and other large microphones as well. 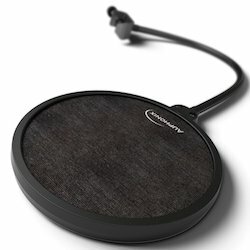 If you don’t want to pay a bunch for a brand name, this Auphonix 6-inch pop filter will definitely get the job done and it’s plenty big enough to cover the Yeti’s mic capsules. The double mesh screen stops harsh air and “p-pops” from getting through but allows your voice to come through nice and clear. One more option is this Foam Windscreen for the Blue Yeti. It sits right over the microphone and is offered in a few different colors.